For those who needs to be their best, most magnetic selves on multiple platforms and inspire audiences around the globe. 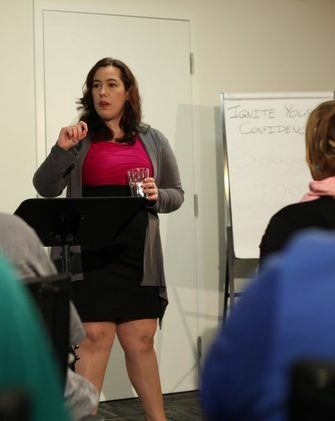 Complete Confidence is an intensive training package for speakers to master stage craft and build a strong, eloquent, and agile voice. Vibrant Videos takes you through everything you need to know about making your own videos and looking like a pro. We'll work on your project for three days before Jennifer Shanse from UpperStory Films shoots it on the last day. ​On top of the strategy sessions and personalized feedback within the workshops, Danielle will meet you for a one-on-one performance coaching session to address any gaps in your needs. Nine months of combined practice and performance labs will keep you plugged in and pointed in the right direction. ​The journey is yours to begin: a $5,075 value for only $3,500.